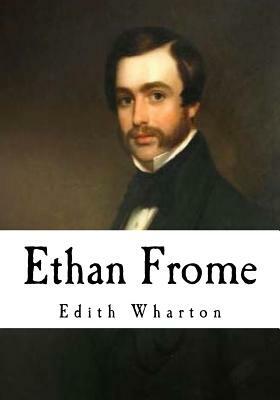 Ethan Frome By Edith Wharton Ethan Frome is a novel published in 1911 by the Pulitzer Prize-winning American author Edith Wharton. It is set in the fictitious town of Starkfield, Massachusetts. The novel was adapted into a film, Ethan Frome, in 1993. Ethan Frome is set in a fictional New England town named Starkfield, where an unnamed narrator tells the story of his encounter with Ethan Frome, a man with dreams and desires that end in an ironic turn of events. The narrator tells the story based on an account from observations at Frome's house when he had to stay there during a winter storm. The novel is framed by the literary device of an extended flashback. The first chapter opens with an unnamed male narrator spending a winter in Starkfield. He sets out to learn about the life of a mysterious local figure named Ethan Frome, a man who had been injured in a horrific "smash-up" twenty-four years before. Frome is described as "the most striking figure in Starkfield," "the ruin of a man" with a "careless powerful look...in spite of a lameness checking each step like the jerk of a chain.